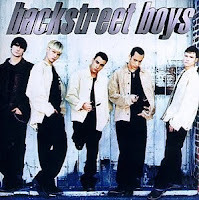 Backstreet Boys (BSB) was formed on 20 April 1993. At first, this group consists of Nick Carter, Howie Dorough, Brian Littrell, AJ McLean, and Kevin Richardson. However, in 2006 one of its personnel, Kevin Richardson decided to leave the group in order to spend more time with his family. Nevertheless, the relationship with the other personnel are still well preserved. This group is spelled out most exist compared with N Sync disbanded first, or British vocal group Boyzone who suffer the same fate. Backstreet Boys remain active even make albums and toured the world. Now the Backstreet Boys will meet the fans in the ASEAN region, with a concert in Singapore. Only personnel only four people. Kevin Richardson has resigned from the group since 2006. Backstreet Boys is one of the group who can score the highest sales figures in the world, in the history of the world music business. Until now, the group's album sales record has reached 100 million copies. Their songs have influenced many pop singers to emulate. Westlife's main competitors are from the UK, which is still exist in the world music stage. Not be denied if the Backstreet Boys songs like Weve Cot lt Goin On, Get Down (Youre the One for Me), Anywhere for You, Quit Playin Games (with My Heart), As Long as You Love Me, Everybody (Backstreets Back) , Ill Never Break Your Heart, All I Have to Give, I Want lt that Way, Larger than Life, Show Me the Meaning of Being Lonely, The One, and the Shape of My Heart, easy to sing and memorable. Of the nine albums that have been released, the album Millennium, which was launched in 1999 was the most successful album, best selling, and most favorite. Album Millennium plugging history in the music business, with sales of 1.3 million copies in just a week. Name Backstreet Boys became collateral as a group have high sales value. In addition to success in terms of album sales, tour enthusiasts Millennium also flooded. You could say the highlight career Millennium Backstreet Boys. The success continued as they released the album Black and Blue which sold 5 million copies in its first week worldwide. Former personnel Kevin Richardson also strongly supported the album's friends. The reason they made the album "Unbreakable" is based on events that happened to the personnel. Brian heart surgery that caused his condition could hardly stand it any longer, the death of a family member as well as the loss of personnel alone "Kevin Richardson". The majority of the fans are teenagers. At that time the boy band rivalry is intense. The success of the Backstreet Boys made a lot of singers imitate. Such trend is not a new trend. Before the Backstreet Boys, have no Jackson Five or New Kids on the Block. Only the winner of the competition is that tight that continue to exist in the world music stage. Now the Backstreet Boys will again greet their fans in ASEAN, one of the areas that have fans and Backstreet Boys album sales were fairly large. Last year the album was released under the title This is Us. This album shows something different compared to the Backstreet Boys before. They are no longer young. Of course the fans have also increased usia.Seperti what their appearance? Watch the Backstreet Boys's action at the Suntec Singapore International Convention Exhibition Hall, 28 February. "We've Got It Goin 'On"
"Quit Playin 'Games (With My Heart)"